Integral Man: One of Toronto’s most famous houses gets some close scrutiny in Integral Man, a Hot Docs festival hit that returns for an extended run. 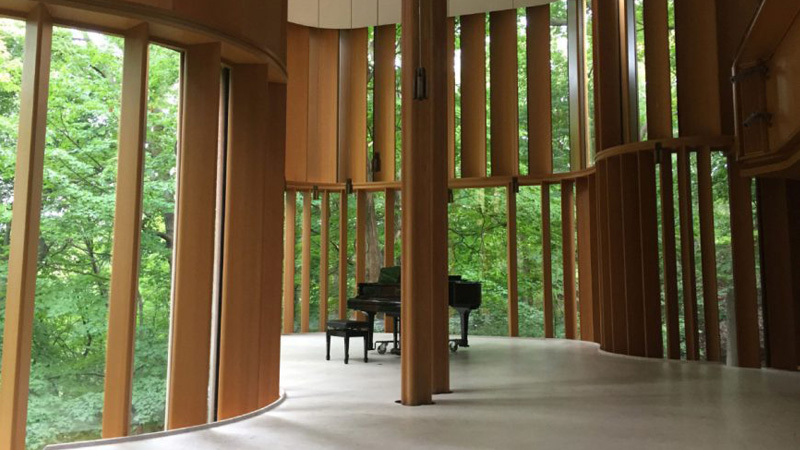 Commissioned by the late mathematician and Rosedale resident Jim Stewart in the early 2000s, Integral House was designed by Brigitte Shim and Howard Sutcliffe and constructed at a cost of $34 million. The 17,000-square-foot house was a testament to its owner’s love of music, with an intimate concert hall serving as its main showpiece. Joseph Clement’s film examines the story of this architectural marvel’s creation along with the saga of its original owner, who only had a few years to enjoy concerts there before dying of cancer in 2014. Clement’s film plays July 7-19 at the Hot Docs Ted Rogers Cinema – select screenings on the run’s first weekend include Q&As with Shim and local architecture scholars Alex Bozikovic and Larry Dean Richards. Outdoor screenings: Just in case you were wondering, the city is now reaching “peak al fresco” when it comes to outdoor screening choices this summer with the arrival of two more series. On July 7, Downsview Park begins its Movies in the Meadow program with La La Land. Further south, the Regent Park Film Festival’s Under the Stars series in Regent Park opts forSpace Jam as its season opener on July 12. Elsewhere in Toronto under this week’s night skies,the Christie Pits Film Festival presents The Maltese Falcon on July 9 and City Cinema at Yonge-Dundas Square goes for Whip It on July 11. Also that night, the Open Roof Festival at 99 Sudbury matches The Bad Batch with a live set by Blonde Elvis. On July 12, Harbourfront Centre’s Free Flicks at the Concert Stage gives you some Garth with the original Wayne’s World. Finally on July 13, Corktown Commons fills a screen with Hairspray (the Divine version rather than the John Travolta one). Blood Hunters: A local filmmaking team that earned some love from genre-movie fans for their 2013 thriller Silent Retreat, director Tricia Lee and writer Corey Brown return to provide more thrills in a new feature that opens at the Carlton. Blood Hunters stars Lara Gilchrist as a young woman who’s abducted and wakes up in a strange hospital to discover that she’s inexplicably very pregnant. Pregnant with what is a whole other problem that emerges in the grisly proceedings which – in accordance with what may be a local bylaw for low-budget horror productions – also feature an appearance by the indispensable Julian Richings. Blood Huntersopens July 7 at the Carlton. Tickling Giants: Surely every country in the world could use its own version of The Daily Show. No nation may need one quite as badly as Egypt, which explains why cardiologist-turned-comedian Bassem Youssef and his satirical news program Al-Bernameg (The Show) was both celebrated and attacked when it ran from 2011 to 2014. A new documentary directed by Daily Show senior producer Sara Taksler, Tickling Giants provides a look at Youssef’s quest to defend free speech and be funny at the same time, all without getting sent to jail – it runs July 7-13 at the Hot Docs Ted Rogers Cinema. The Postman’s White Nights: A great Russian filmmaker whose achievements range from co-writing Andrei Tarkovsky’s 1966 classic Andrei Rublev to directing Sylvester Stallone in the not-quite-as-classic Tango & Cash, Andrei Konchalovsky made a strong return when his dramaThe Postman’s White Nights won the Silver Lion at the 2014 Venice film festival. Two years later, he did it again with his film Paradise. To celebrate the director’s 80th birthday, both films are getting theatrical runs in Toronto, beginning with the July 7 release of The Postman’s White Nights at Cineplex Canada Square. Chasing Coral: From the makers of Chasing Ice comes another compelling eco-doc that recently debuted at Hot Docs and returns for a special screening. In Chasing Coral, director Jeff Orlowski portrays the efforts of several defenders of the ocean’s ecosystems from coral bleaching, a phenomenon that’s caused by rising water temperatures and whose deadly impact on underwater lifeforms may lead to a comparable catastrophe to those of us living on land. An associate professor in the department of biology at the University of Victoria, Julia Baum participates in a Skype Q&A after it plays the Hot Docs Ted Rogers Cinema’s Films Changing the World program on July 13.